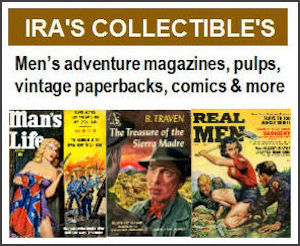 Recently, I was pleased to see that artist and author Kerry Gammill dropped by the Men’s Adventure Magazines Facebook group. He is also the co-author of an excellent, lushly-illustrated book about Basil Gogos. Gogos is a legendary artist best known for his movie monster portraits. 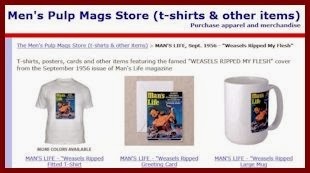 But he also provided artwork for vintage men’s magazines in the 1950s and 1960s. Kerry Gammill’s book — Famous Monster Movie Art of Basil Gogos — focuses on the popular cover paintings Gogos did for Famous Monsters of Filmland, Creepy and Eerie. Those magazines featured portraits of monsters from classic horror films. 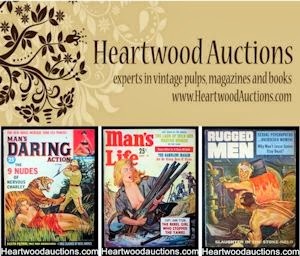 As I noted in a previous post on this blog, some of the covers paintings Gogos created for men’s adventure magazines also had a horror film feel. However, Gogos also did some great “Good Girl Art” for men’s pulp mags, such as the painting on the cover of the August 1966 issue of True Adventures magazine shown above. The term “Good Girl Art” was coined in the early 1970s by David T. Alexander, a renowned comic book and magazine collector and dealer. 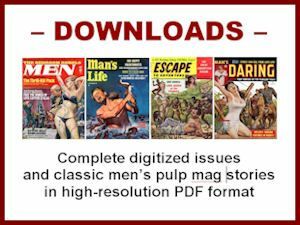 It’s now commonly used by fans of men’s magazines, pulp magazines, comics and cartoon art. Many call it “GGA” for short and apply this acronym broadly to vintage artwork featuring scantily-clad babes in various types of scenes and situations. By the way, David T. Alexander also helped create the Overstreet Comic Book Price Guide and the more recent Old Magazines price guide. 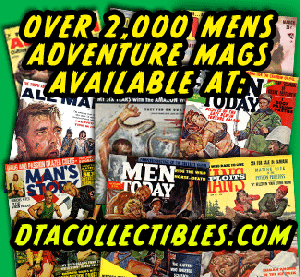 And, if you are a collector of either old comics or magazines, you really must check out the D.T. Alexander "”Culture and Thrills” website. It’s one of the best sources of both on the Internet. If you search for in the Men’s Adventure section of that site, you may be lucky enough to find some old men’s pulp mags with great “Good Girl Art” by Basil Gogos — like the examples shown below. One more BTW: if you’re into illustration and cartoons, you should also check out Kerry Gammill’s other book — Kerry Gammill's Drawing Monsters & Heroes for Film & Comics.